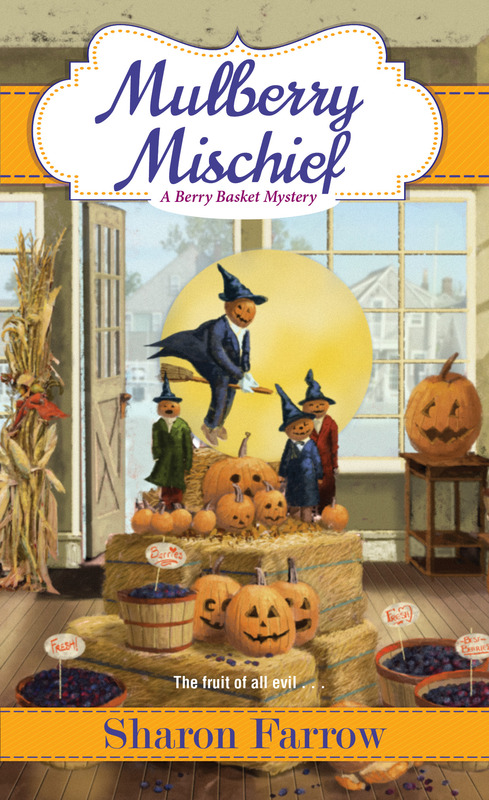 Autumn has arrived on the shores of Lake Michigan, but Marlee Jacob, proprietor of The Berry Basket, is feeling a chill for other reasons . . .
With the Harvest Health Fair in full swing, Marlee makes sure to stock up on elderberry products for cold and flu season. But this year there’s also a run on mulberry when an eccentric customer wants to use the dried berries to ward off evil forces. True, it’s Halloween season, but something else seems to be spooking Leticia the Lake Lady, Oriole Point’s oddest resident. She’s frightened the shadow people want to kill her – and the ghost. Only mulberries can protect her. Marlee doesn’t take her fears seriously until a man named Felix Bonaventure arrives in the village, asking questions about a mysterious woman. The next day, Marlee finds Felix Bonaventure dead on Leticia’s property-shot through the heart with an arrow made of mulberry wood. And Leticia has disappeared. Marlee soon learns the Lake Lady has a deadly past. A past connected to the famous Sable family who are in town for the health fair. A bunch of clues start to come together- and figuring out what’s going on puts Marlee in a real jam . . .
It’s peak tourist season in Oriole Point, Michigan—the blueberry buckle of the fruit belt. Nothing draws the crowds quite like their annual carnival. And nothing turns it sour faster than murder. . . 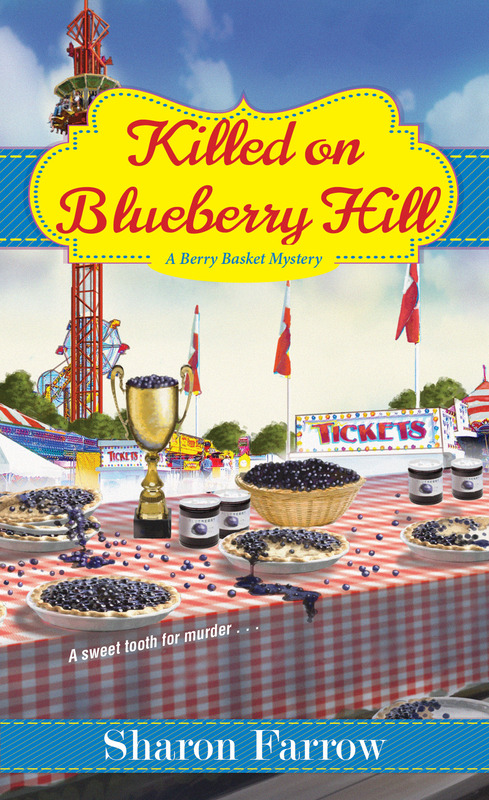 The Blueberry Blow Out festival has begun and it’s time for Marlee Jacob, owner of The Berry Basket, to shine. Unfortunately it’s also bringing out the worst in her fiancé Ryan Zeller. Ryan’s rivalry with Porter Gale, owner of Blueberry Hill Farm, spills over into a very public and very ugly fight. And after they compete in the pie-eating contest and a raucous tug of war, their orchard blood feud takes a deadly turn. The death of the king of Blueberry Hill is a shock but not too surprising—he was a diabetic whose last pig out meal was deliciously fatal. But when authorities discover that someone tampered with Porter’s insulin, a tragic accident is looking like murder—and Ryan is the key ingredient. Now Marlee’s investigation to clear his name is taking her deep into the Gale family secrets, and she’s being shadowed every step of the way by a killer whose sweet revenge is just beginning. Between a booming art scene and elaborate Independence Day festivities, July in Oriole Point, Michigan is always a blast. Especially when an explosive murder case crashes the fun . 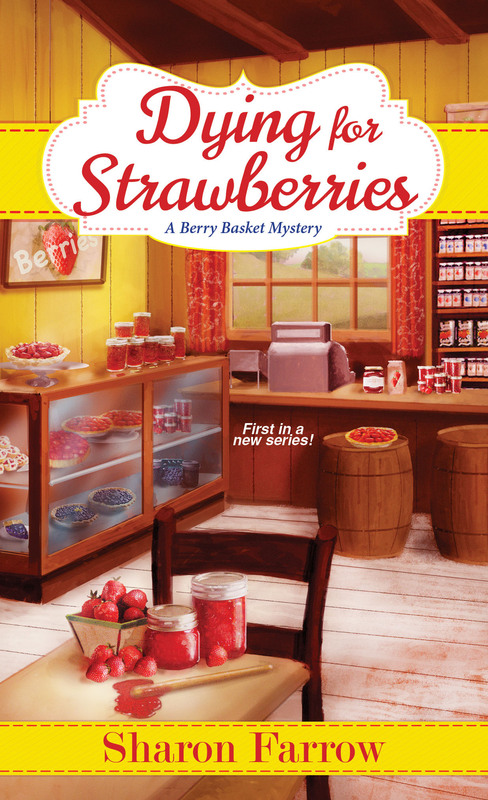 . .
As owner of The Berry Basket, Marlee Jacob not only knows all about the local berries, she’s learned a thing or two about surviving summer tourist season in her Lake Michigan resort town. So she gladly agrees to help run the annual road rally in honor of the Blackberry Art School’s centenary celebration. While alumni arrive from around the country, Marlee hopes the Sanderling farm will make an appropriate starting point for the race—despite rumors that the land is cursed. 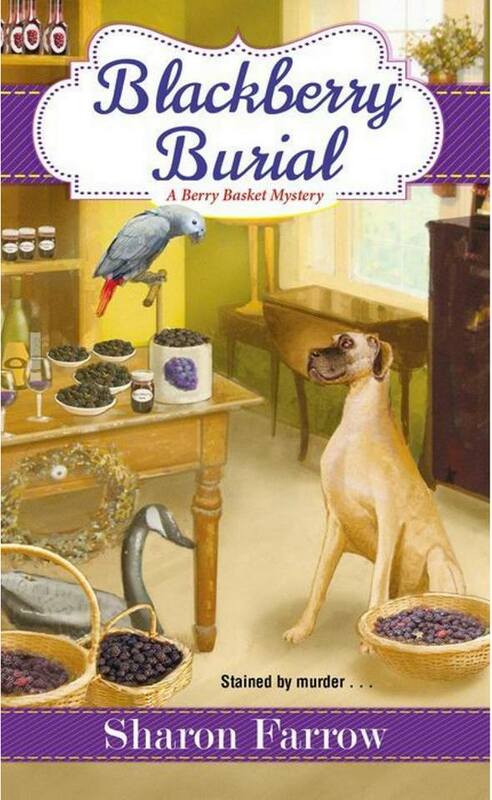 But when Marlee surveys the property, she stumbles upon a long-dead body buried beneath the blackberry bramble. It’s a horrifying mystery to everyone except her baker, who’s convinced the skeletal remains belong to a former art student who disappeared twenty years earlier. As the Fourth of July activities heat up, Marlee must rush to catch an elusive murderer before the next “blackberry victim” is ripe for the picking! Unfortunately for Marlee, Oriole Point is muddled with secrets of its own. First her friend Natasha vanishes after an ominous dream. Next the seediest man in town threatens to crush her business. Then an unknown person nearly kills her on the night of the Bash. When she discovers a dead body while searching for Natasha, Marlee realizes she’ll have to foil a killer’s plot herself—before the past permanently stains her future.